Few cities compare to San Francisco when it comes to its incredible complex identity. Some will see it as a cosmopolitan hub, others as a paradise where the hippie soul stills hunts the place. 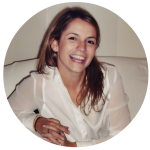 Some will go there for its tolerant and open-minded boroughs, others for its entrepreneurial and innovative fiber. And why not for its rich, sophisticated (and expensive) lifestyle? This plethora of strong identities might explain why San Francisco has so many nicknames. Yes, nicknames are an important matter in San Francisco so avoid calling it “Frisco” or “San Fran” in front of its inhabitants: it’s consider pretty uncool. My proposal? Try to take 3-4 days (more is even better) to explore all this city has to offer and try to decipher 4 of its famous nicknames. They will give you the key of the top things to love in SF (don’t worry, the acronym is accepted by San Franciscans if you were wondering!). Morning. Your first day in San Francisco could not start without a little tour on one of the most famous bridges in the world: the Golden Gate. You can take a hop on hop off bus, rent a bike or cross the bridge with your own free feet. My advice? WALK. 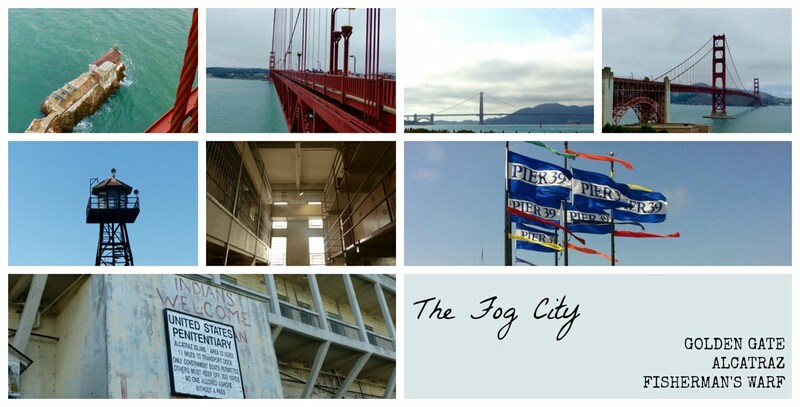 The views are beautiful, and you will have some nice shots of the city with the Alcatraz island in the background. Don’t forget to get a good jacket because you will understand why we call it the FOG CITY. It can get pretty windy, foggy (obvisouly) and cold over there and you might be tempted to use everything you have to cover you up (even beach towels – the person I am thinking of right now will recognize herself 😉 ). Lunch. Hungry now? Great! Head to Fisherman’s Warf. Don’t look for a restaurant but head to the market and try one of the local specialties: clam chowder, lobster or crab roll. Try to find a place outside and protect your meal against the starving sea gulls that are ready to put on a fight for your meal. Afternoon. To the question « is it worth to go to Alcatraz? » my answer is: « oh yeah ». 1 – the only jail that looks more real that this one is an active jail (which I hope for you, you’ll not be visiting any time soon), 2 – the views on San Francisco are amazing, 3 – you can experience a micro-climate on this island where the winds are fierce, the fog present (again) and the weather as unstable as its former inhabitants, 4 – who doesn’t like a boat trip?, 5 – the audio-guide is really well done and you will learn your share of history. Ok, so make sure to book your tickets in advance (and by advance I mean ADVANCE) and save half a day for it. If you are staying next to Union Square take the Powell-Mason Line Cable Car to get to the Pier 39. You can find tickets here. I know what you are thinking. Today’s Baghdad does not really ring the bell of “diversity” and “tolerance”. However, when Herb Caen baptized the city like that in the mid of the 20th century, he had in mind a Babylonian interpretation of Baghdad, a previous version of what it has become today. A cultural and intellectual crossroad where all nationalities met and lived together. So open your eyes, heart and mind to explore one of the cities that have helped shaping a more tolerant and progressive world. Morning: Let’s start by the biggest Chinatown in the world and the oldest one of Northern America. I have just been in China 3 months ago and honestly I forgot I was in the USA. Don’t need to stay long but wander around and merge yourself in this unique Asian atmosphere. Now, go to Haight and sit at the terrace of the Magnolia Pub & Brewery and do some people watching. Witness a place where social conventions do not seem to have a strong hold and where freedom of being seems to be a whole religion. Do not be surprised if you see men walking down the story wearing nothing but a tie and socks. It is hard to define if this place belongs completely to the past with its java lamp shops, record shop (Groove Merchant Records), incredible vintage shops (Haight Ashbury), marijuana lingering on the air or completely to the future with its organic supermarkets, micro-breweries, and where hipster fashion is already soooo 20th century. Afternoon: Spend the afternoon in Castro and discover the neighborhood that has seen Harvey Milk (please watch the movie if you haven’t) fight for gay rights. This neighborhood gives a very different picture of what being gay means. Despite the increase of tolerance and awareness regarding the homosexual cause, being able to express love, companionship publicly is still complicated for most of them. In this neighborhood you will see 80 y.o. gay couples going for their early breakfast holding hands. And if you are interested by the GLBT history and want to have an opinion about gay marriage based on proper facts visit the GLBT Historial Society. Evening & Night: An experience of San Francisco is absolutely incomplete if you do not go to Mission. One of the “coolest” neighborhood of the city. Mission is about awesome restaurants, cool bars, ice cream stores with 1h queue and hanging around in Dolores Park with a picnic, a bottle of wine (even if that is probably not legal) and if you are lucky an outdoor cinema. For dinner the tough part is to take your pick. Two tested and approved recommendations: Taqueria Buen Sabor. This is a no mistake address: the quesadillas are huge and delicious, the tacos taste as they do in Mexico and I haven’t tried the burrito but I can promise that it looks awesome. Top that with a Modelo beer and you are a happy woman/man. You will feel the Mexican identity of this neighborhood. If you feel more like Italian food in a more trendy atmosphere, no problem. Head to Delfina and enjoy their delicious pizza. Time for drinks? What about walking to the 20th street and have a pint at the Shotwell’s bar? Place looks great, beers are delicious, the atmosphere is laid-back, the pool table is waiting for you (as well as a lot of people trying to play), and the small arcade will bring out the child within you. Morning: Today it is time to discover the fancy face of San Francisco. That part that might explain the nickname “Paris of the West”. To be honest this is a hundred-years-old nickname but I guess it could still valid. San Francisco is also a city where you want to drive or walk around (or both). Before you do that consider that everything that goes down goes up in San Francisco at one point or another. If you want to walk around more residential neighborhoods go to Russian Hills and Nob Hills. Russian Hills are… hills. Obviously… so get your legs ready. Here you will find the “the world’s crookedest street”, Lombard Street (the view of it is much more interesting than the driving tour, but hey! you only do it once right?). Polk Street offers good options for vintage boutiques, great restaurants and bars, as well as a small French quarter. If you climb up to Jones Street you will be rewarded by a beautiful view. Pacific Heights is another one you might want to pay a visit. If you want to see where the Billionaires (yes, not Millionaires, but Billionaires) live, go to the Billionaire’s Row where the tech genius of the valley live next to San Francisco’s old money. Why? Well, because it has apparently the best view of The City. Afternoon: I would go for lunch in Little Italy. Before choosing any of the tourist restaurants head to one of my favorite places ever: City Lights Bookstore. Spend the afternoon around Union Square and do some shopping if your budget allows it. Macy’s, Neiman-Marcus and all big brands you can think of are around. You might need some time there as this is the most visited place of the city. Evening: Let’s head a little bit West for dinner and go to La Urbana on 661 Divisadero St. They serve fine Mexican food and delicious cocktails. If you are on a budget, fear not. 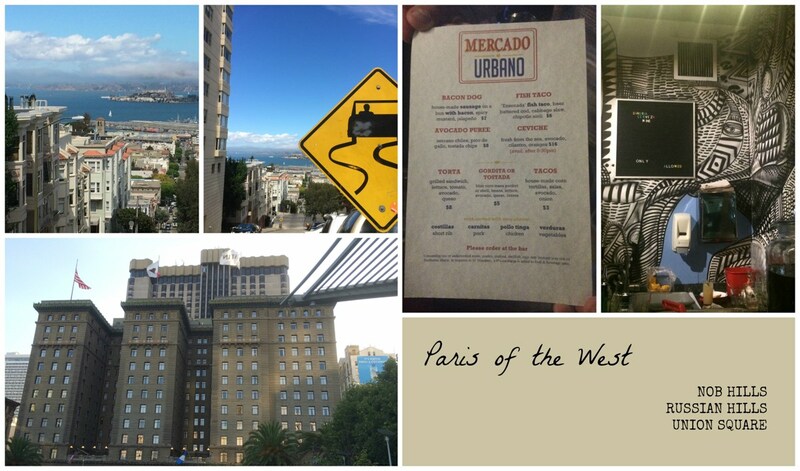 You will find an awesome option in the same place called El Mercado Urbano at La Urbana. (if you can’t find it look for the garage door at the end of the restaurant). Friendly advice: order a margarita with the fish taco, carnitas taco and the hot dog and you will be in heaven. This day has been tailor-made by Claire, my dear San Franciscan friend from blog Cosbeauticlab (thanks for taking us in this insider trip)! Morning: So, do you have a car? If yes, then let’s go to Sausalito. You will be crossing the Golden Gate so enjoy the trip. Sausalito is a cute little borough where restaurants are expensive, boutiques unaffordable, and where it is really great to spend a nice morning. Make sure you have a towel where you can sit on. Why? Well because for lunch you are going to have an awesome burger grilled on a spinning rotisserie grill from Hamburgers across the road and sit on the garden facing the marina. Wow that was good but watch out: the burger is huge (and apparently Britney is a fan of it). Enjoy the sun and have a good digestion. Afternoon: After that, time to go back to San Francisco but not without a small detour first. Before crossing the bridge back to the City-by-the-Bay, there will be a vista point. Take it and try to park the car where you see a lot of fuzz, watch out: police patrols regularly so park somewhere where you will not get a ticket. 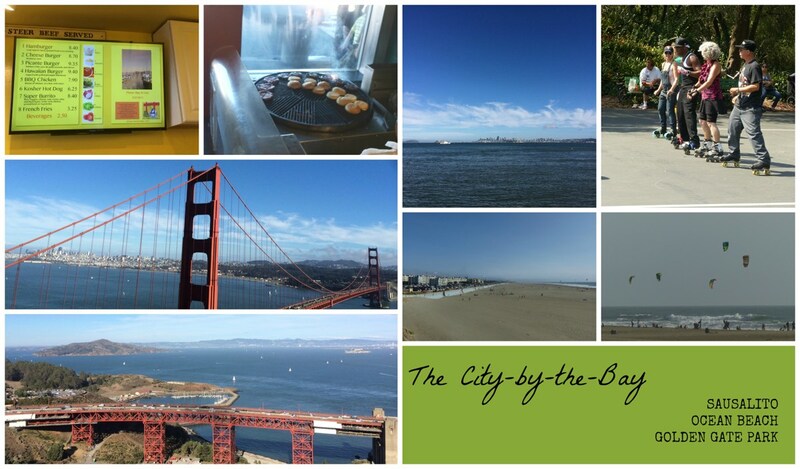 Enjoy the view of the Golden Gate and The City. Ok now we are ready to go back and we will be taking the direction of the Ocean Beach. Walk along it or jump into the water if you are a kite surfing fan (wait for the end of the afternoon (the wind is better)) and have fun! If you still have time discover the Golden Gate Park where you will see several groups performing live dancing, roller-skater dancing and you will see what is that little thing San Francisco has that makes the rest of the world envy it. 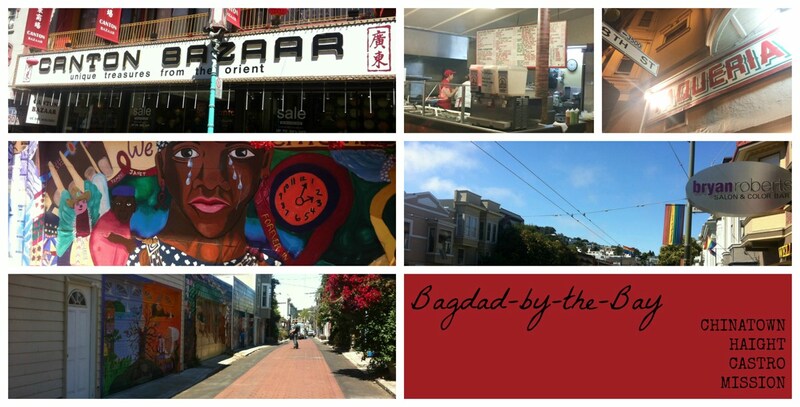 San Francisco attracts people from around the world for many different reasons. And I can totally understand why. It might for the same reason, The City (as it is actually called by its inhabitants) makes me come back every time that I can. So, if you were still wondering if you should go. Stop. Just do it.